Geometries of doleritic intrusions in central Spitsbergen, Svalbard: an integrated study of an onshore-offshore magmatic province with implications for CO2 sepuestration. Igneous intrusions emplaced during the Early Cretaceous are well exposed in central Spitsbergen within the Permian–Jurassic sedimentary succession. The doleritic intrusions are collectively classified as the Diabasodden Suite, and form part of the High Arctic Large Igneous Province. Though relatively easily accessible and very well exposed in places, the Diabasodden Suite dolerites remain underexplored and their prevalent geometry is particularly poorly understood. 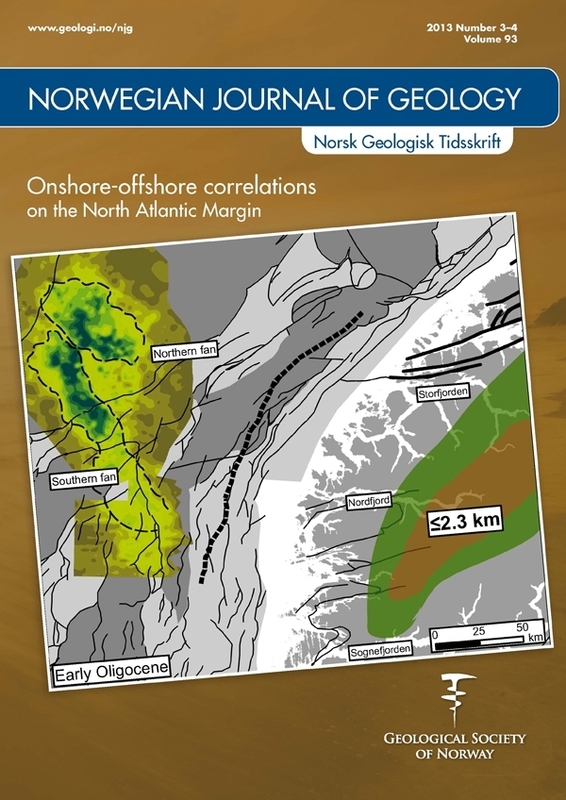 In this contribution we address this deficiency by mapping the distribution of the igneous complexes in both onshore and offshore areas of central Spitsbergen, using an integrated dataset incorporating 2D seismic data with magnetic profiles, highresolution multibeam bathymetric data, digital elevation models, aerial photos, geological maps, a lidar model and fieldwork. The intrusions occur primarily as sills, typically less than 50 m thick but extending over 10 km laterally. Subordinate dykes, transgressive sill segments and saucer-shaped intrusions are also present. Increased structural complexity is evident in the higher parts of the stratigraphy, with sill/dyke interactions relatively common. Some exposed positive relief features on the seafloor are interpreted as resistant dolerite intrusions, based on bathymetric data, 2D seismic lines and magnetic profiles. An increased presence of pockmarks along the rims of these intrusions cropping out at the seafloor suggests a causal relationship between focused fluid flow and igneous intrusions. As well as describing the overall geometry of the igneous complex, we investigate the implications of igneous intrusions for fluid flow within a siliciclastic aquifer, highlighted by a study addressing potential subsurface CO2 storage in central Spitsbergen. Fracture corridors along dykes suggest that fluid flow may be channelled along dykes across the stratigraphy, perhaps leaking into the lower part of the caprock. Furthermore, both enhanced flow along dykes and hampering of flow across dykes may affect the areal distribution of the CO2 plume following injection of CO2 into the affected aquifer.